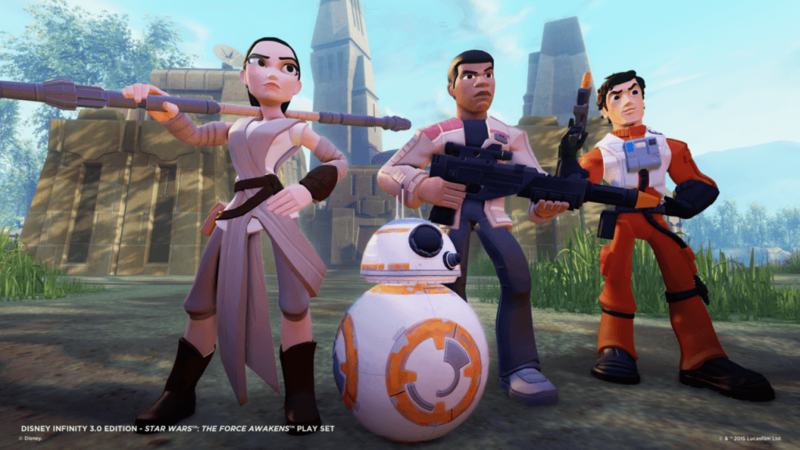 Disney Interactive and Lucasfilm today launched Star Wars:™ The Force Awakens™ Play Set, the third Star Wars™ Play Set for Disney Infinity 3.0 Edition, this year’s No. 1 “toys-to-life” video game. The Star Wars: The Force Awakens Play Set gives fans the opportunity to play with Finn, Rey, Kylo Ren and Poe Dameron in the latest chapter of the Star Wars saga. 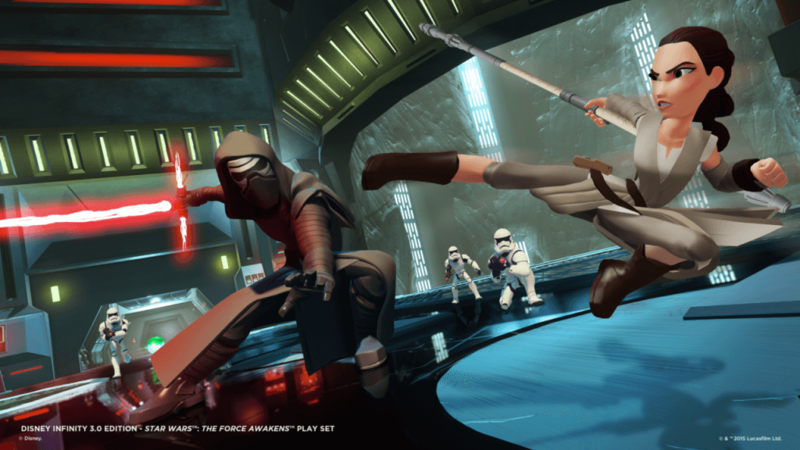 Available today with the release of the film, the Star Wars: The Force Awakens Play Set includes playable characters Finn, a soldier on a path to adventure and danger, and Rey, a true survivor who is resourceful and capable. Individual character figures Poe Dameron, the trusted pilot of the Resistance who uses his expert flying skills to travel the galaxy, and Kylo Ren, an enforcer for the First Order who terrorizes the galaxy with devious acts, are also available, as well as the Star Wars: The Force Awakens-themed Power Disc Pack. 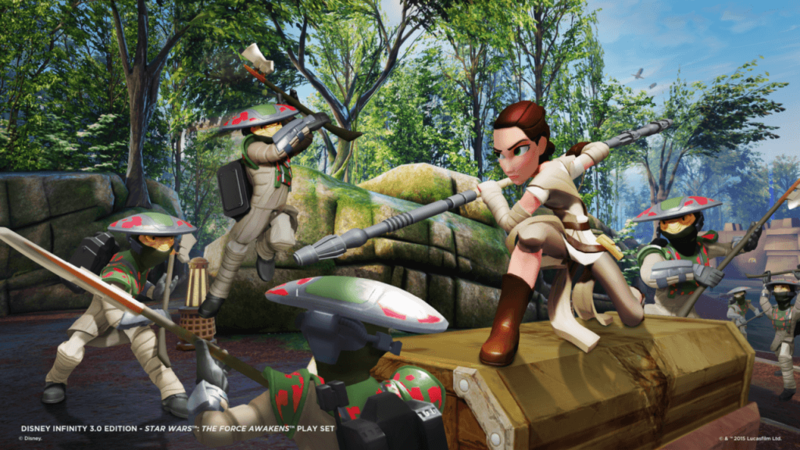 In addition to the characters native to Star Wars: The Force Awakens Play Set, fans will be able to unlock and play with all Star Wars characters from Star Wars™ Twilight of the Republic and Star Wars™ Rise Against The Empire, as well as the Star Wars Rebels™ characters. 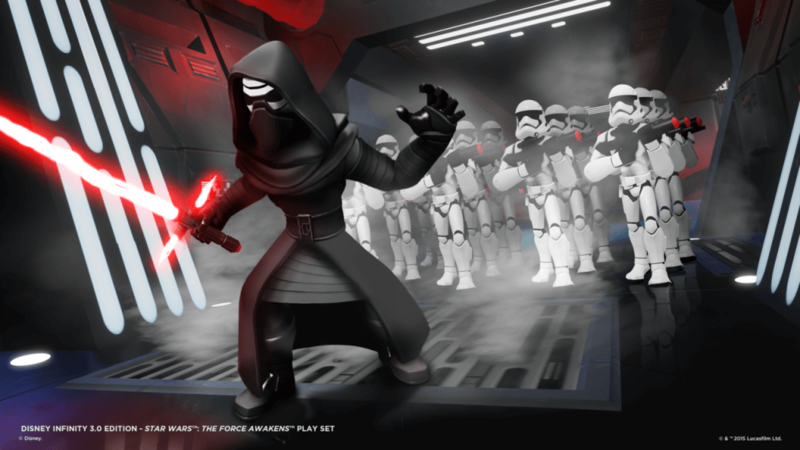 Here are the best places to get the Disney Infinity: The Force Awakens content that is now available.